In the event that flooding and associated debris affects your home, contact the IICRC certified remediation specialists at SERVPRO to remediate. Even the best homeowners in El Centro are powerless when facing a flood. There is virtually no way for you to stop the water from coming into your home, but you can be ready for its aftermath. 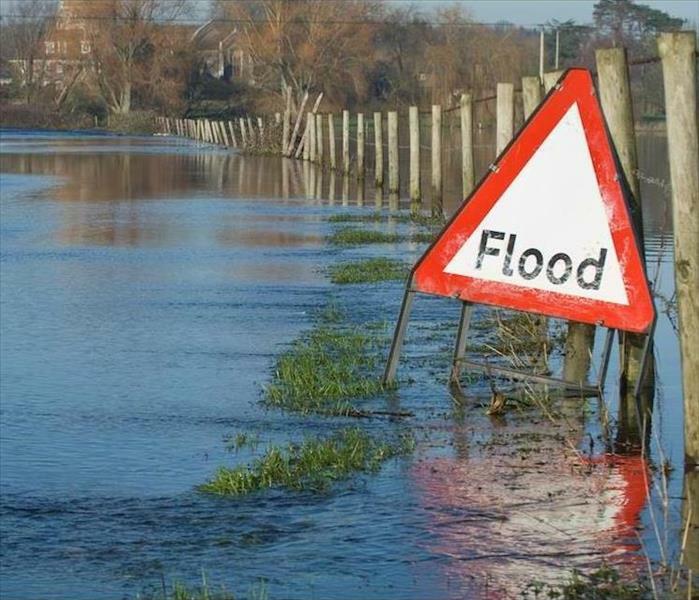 Understanding the ramifications of a flood can be extremely useful in making plans for the restoration of your home. Knowing whom to call to help you make the plan and execute it is just as important. Homeowners facing flood damage in El Centro can count on SERVPRO during their time of need. Returning your home to its original condition goes well beyond extracting water from the premises. Our pumps of varying sizes can handle extraction jobs without much trouble, but knowing how to address the water-saturated contents of your home, and a possibly weaker structure, takes an expert team. A crucial difference between water damage from a broken pipe and that caused by a flood is that floodwaters are filled with organisms and waste that can put your health in jeopardy. Our SERVPRO team makes use of industry-grade disinfectants to prevent further spread of bacteria and quickly removes any belongings that are not salvageable. Carpets, insulation and other porous materials fall under this category, and our expert team handles their disposal in compliance with environmental regulations. Our SERVPRO crew also knows that drying your home does not mean eliminating humidity. Each surface has a natural balance. For example, drying the hardwood floor in your living room is not the same process as drying the tiles in the bathroom, and our Green Fleet knows the difference and how to act. By using advanced technology to monitor the progress of each material we complete the job without causing further damage, such as excessively drying the wood elements in your house. Our long-standing expertise lets us achieve this delicate balance in the environment of your home. SERVPRO of El Centro/Salton City is part of your restoration plan. Just call us at (760) 337-5858 and let our expertise help leave your home "Like it never even happened." Click here for more information about the city of El Centro. If Your El Centro Home Experiences A Flash Flood, Our Crew Is Here To Help! Give us a call anytime at (760) 337-5858. Flash flooding is a scenario that can occur without any warning and affect many El Centro homes simultaneously. With the threat of both the forceful entry of the water into your property and the potential contaminants and bacteria that the water can carry with it, addressing this disaster must happen swiftly by qualified and IICRC-certified technicians. With a 24/7 response to flooding and water loss emergencies, our professionals can ensure that every customer gets the effective and efficient mitigation and recovery solutions their property needs no matter when disaster strikes. 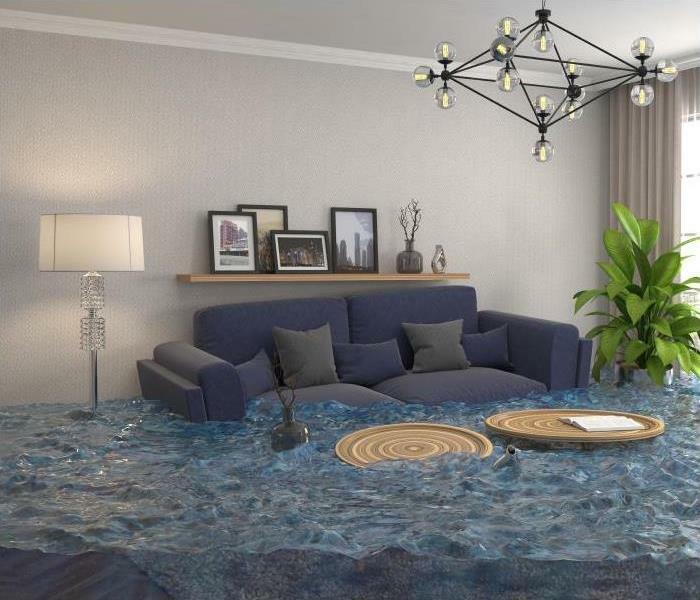 While you might not get prepared for the flash flood damage that can occur in your El Centro home, the right professional response can help to limit the spread of these effects throughout your home. While in many cases, flash flooding damage can instantly compromise exposed materials and even structural elements, stopping the spread of this floodwater can protect unaffected areas of your home from also requiring tear out and replacement by our rapid response team. From the time that our SERVPRO team first arrives at your home, we get to work immediately on assessing the scope of the damage. Because we arrive with the full measure of our extraction and rapid drying equipment, our technicians can start extracting standing water with our initial visit. From our truck-mounted and gas-powered pumps to portable options like sump pumps and wet-vacs, we have every level of extraction equipment to handle any degree of loss incident inside your house. Once the excess water has gotten removed, our team can begin to assess what materials and surfaces have become affected by the floodwater. Controlled demolition can carefully remove exposed materials, leaving unaffected portions of these materials installed. This process can maximize the efficiency of reconstruction and build back efforts and later restoration by our SERVPRO professionals. While flash flooding can affect many homes throughout the area simultaneously, our large loss recovery SERVPRO of El Centro / Salton City team can handle widespread damage with our broad inventory of recovery equipment and a large roster of IICRC-Certified technicians. Give us a call anytime at (760) 337-5858. Click here for more about El Centro. Whenever disaster strikes, you can count on our SERVPRO of El Centro / Salton City water restoration specialists. While many El Centro homeowners might see the merit in professional restoration, few can understand how choosing this route for flood effects can save them money. It may be tempting to restore and repair your home when posed with widespread damages; this might not always be as cost-effective and beneficial as it seems. There are many reasons that our professional restoration services can save you money. After the flood damage has occurred in your El Centro home, you get your first look at the widespread effects and begin to formulate a plan of putting everything back to the way it used to be. Our SERVPRO professionals have a fast response to emergencies, no matter what time they occur, so no customer waits for quality mitigation work that can protect their property from substantial damage that ultimately requires reconstruction and costlier restoration work. One of the ways that professional restoration like our technicians provide can save you money is through our experience with disasters. Many homeowners lack the knowledge to provide their property with the intricate cleanup and drying that is necessary to prepare it for the restoration work to come. Without removing the pressing risks of lingering moisture, the home gets opened up to potential secondary effects like mold growth, not to mention a persistent structural degradation from saturated materials. Another cost-effective reason to choose our SERVPRO team over DIY cleanup is how much costlier this process becomes when done the first time incorrectly. Without a thorough extraction, drying, and cleanup, your home remains at risk for further damage. When these damages inevitably occur, they are going to be costlier to repair and restore than it would have been initially. Flood damage can occur from many potential sources, but without effective mitigation and restoration, your home remains at risk of continual damage that becomes costlier and costlier to recover. Whenever disaster strikes, you can count on our SERVPRO of El Centro / Salton City water restoration specialists. Give our crew a call anytime at (760) 337-5858. Dealing With Fire Damage & Smoke Odor? We Have A Solution - Call SERVPRO! 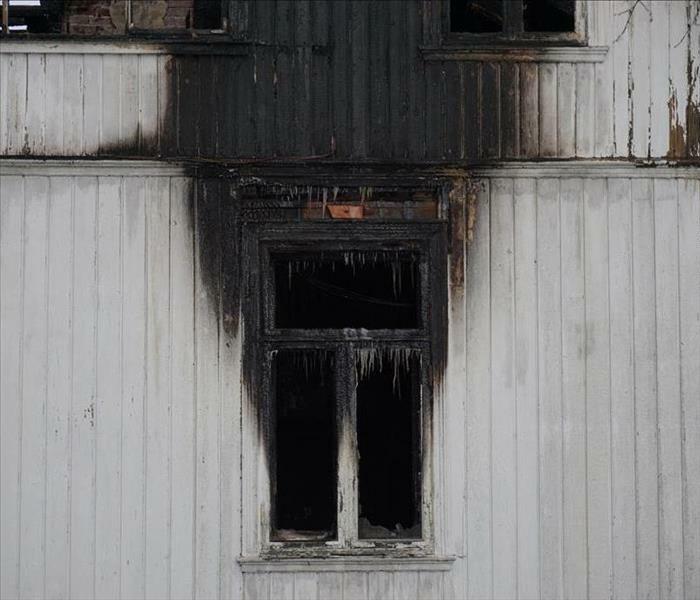 Whether the fire damage is small or large, our SERVPRO technicians can take care of it. It is hard to imagine all the ramifications that stem from a fire in your home. It does not have to be a large or prolonged event for the fire damage to affect virtually every aspect of your home. 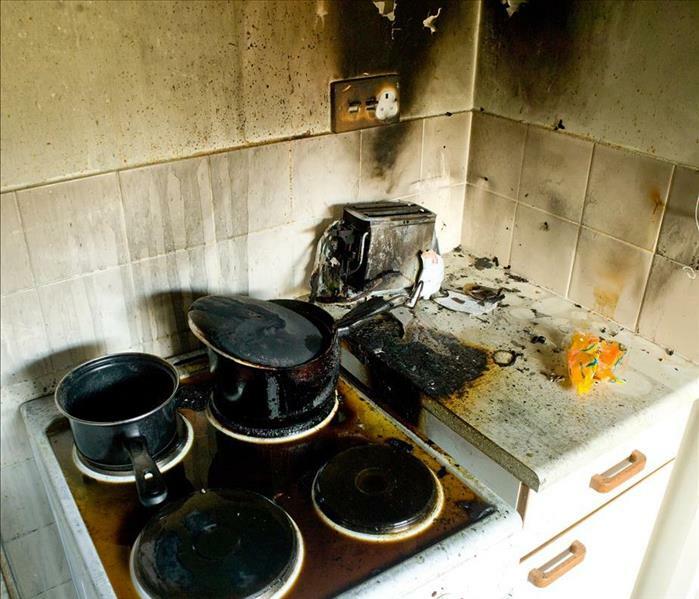 Often, a simple kitchen fire leaves cumbersome consequences in its wake. Rather than choose to tackle the cleanup process yourself, it is best to reach out to specialized technicians to return your property to where it was. When your home in El Centro faces with fire damage, our SERVPRO team is ready to help. We are available 24/7 to begin the recovery process as soon as possible. Even when the remnants of smoke and soot seem small, the long-term consequences can be overwhelming if proper cleanup does not take place. Thankfully, our Green Fleet has trained to handle these situations, and we do so as soon as we arrive at your property. Aside from the evident restoration of the structure and contents of your home, SERVPRO excels at eliminating the smells left behind by the fire. Depending on the duration and path of the smoke, we target specific methods to remove the offending odor from your home. For more localized smells, we may resort to deodorizing pellets, while we may choose an ozone generator for stronger needs. If the smell still lingers in your more porous materials such as upholstery, we may use specialized solutions to penetrate the fabric and remove its traces. In even bigger situations, we can address the air circulation system in your home by including charcoal activated filters to improve the air quality. 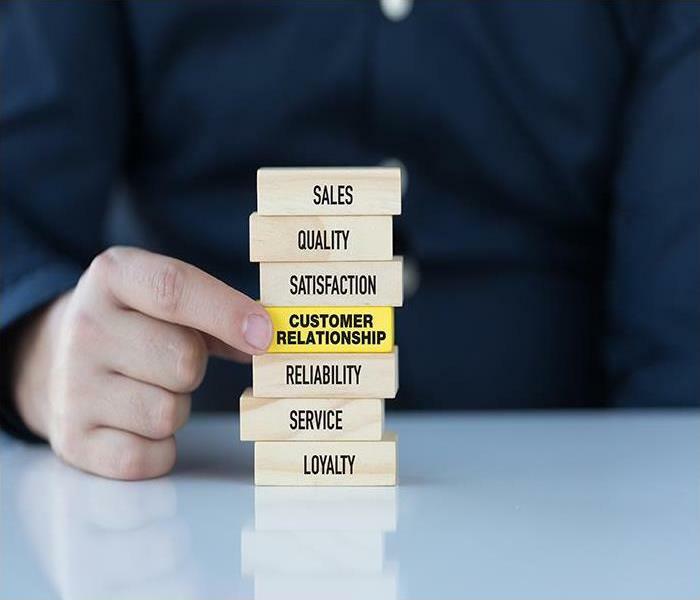 What is most important to know is that our SERVPRO fleet goes beyond what the average homeowner can achieve with store-bought cleaning solutions. Our training and expertise all come together to conscientiously apply industry-recommended solutions to resolve the fire damage to your home. When time is of the essence, we are your best ally to bring your home back to its original condition. For more on El Centro, click here. ¿Su casa tiene daño de fuego y olor a humo? Tenemos una solución - ¡Llame a SERVPRO! SERVPRO tiene las herramientas y la tecnología para cuidar los daños por incendio. Es difícil imaginarse todas las ramificaciones que puede tener un incendio en su casa. No tiene que ser muy grande o rugir por mucho tiempo para que el daño por el incendio afecte prácticamente toda su casa. Con frecuencia, un simple fuego en la cocina deja muchas consecuencias indeseables a su paso. En vez de atacar los daños usted mismo, es mejor apoyarse en un equipo de técnicos especializados para regresar su hogar a su estado original. Cuando su hogar en El Centro se encuentra cara a cara con daños por fuego, nuestro equipo de SERVPRO está listo para ayudar. Estamos disponibles 24 horas al día, 7 días a la semana para comenzar el proceso de recuperación lo antes posible. Aun cuando el rastro de humo y hollín parezca pequeño, las consecuencias a largo plazo pueden ser avasallantes si no se limpia apropiadamente. Por suerte, nuestra cuadrilla ha sido entrenada para este tipo de situaciones y comenzamos a actuar apenas llegamos a su propiedad. Aparte de la evidente restauración necesaria para salvar la estructura y el contenido de su hogar, SERVPRO se destaca por su habilidad de eliminar los olores que dejó el incendio. Dependiendo de la duración y la trayectoria del humo, utilizamos métodos específicos para remover los olores desagradables de su hogar. Para olores más concentrados podemos utilizar pastillas desodorantes, mientras que para los olores más propagados quizás traigamos un generador de ozono para ayudar. Si los olores han penetrado superficies porosas como muebles y tapicería podemos utilizar soluciones que penetren los tejidos y erradiquen las partículas de olor. Para una solución más completa, podemos utilizar filtros de carbón para purificar el aire de sus ductos del aire acondicionado y calefacción. Lo más importante es saber que nuestro equipo de SERVPRO va más allá de lo que un propietario puede lograr con productos comunes. Nuestro entrenamiento y experticia se unen para aplicar concienzudamente las mejores técnicas y metodologías de la industria. Cuando el tiempo apremia, somos sus mejores aliados para recuperar su hogar de fuego. En SERVPRO of El Centro/Salton City, estamos a una llamada de distancia. Solo llámenos al (760) 337-5858 y dejaremos su hogar como que nada hubiera pasado. Para más información sobre la ciudad de El Centro, haga clic aquí. 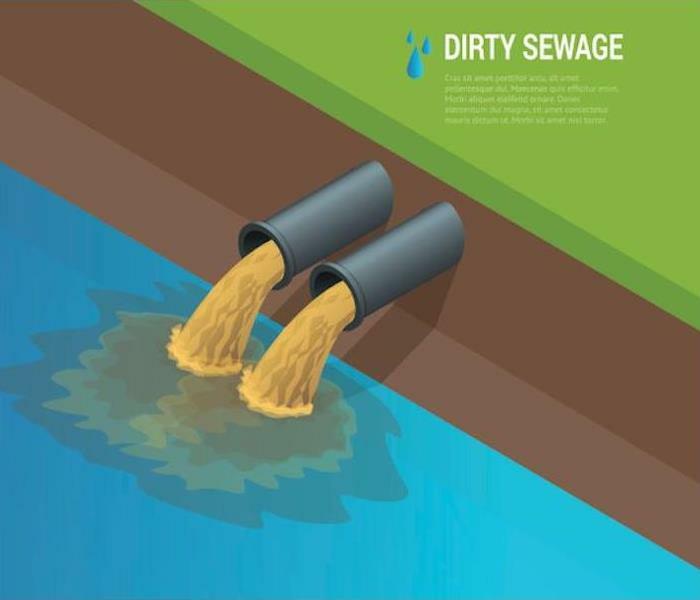 Biohazards like sewage can be dangerous for those exposed, and it is important to take the necessary precautions for your El Centro public school staff, the students, and anyone else who might get exposed. As tempting as it might be to instruct the custodial staff to begin cleanup efforts, there are many contaminants, bacteria, and even viral threats that exist in sewage that can put these individuals at risk without the appropriate training and expertise in handling conditions like these safely. 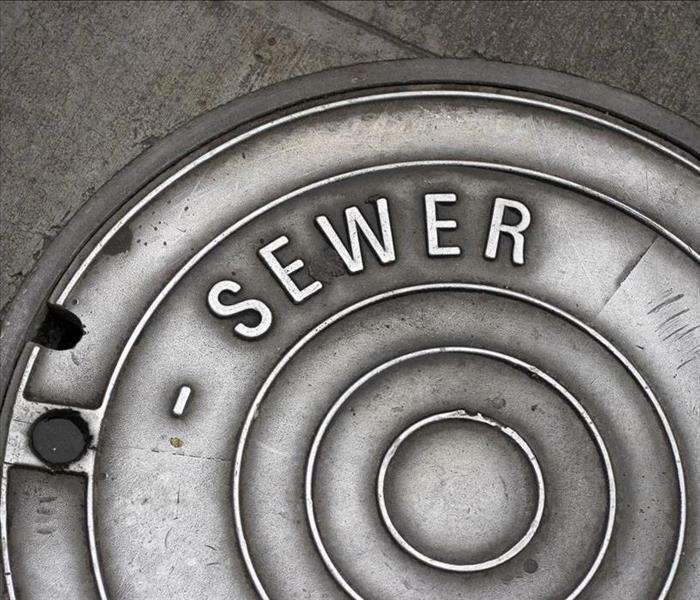 When your El Centro school needs sewage backup cleanup, you can count on our professionals. We have extensive biohazard training to handle these situations safely, protecting both our technicians restoring the facility as well as working to protect your facility as much as possible from the spreading damages. Fast response to hazardous situations like this can ensure that areas currently unexposed to the damage can remain that way. Our SERVPRO team begins first by assessing the damage to the facility and working to begin necessary extraction efforts. We have many tools and machines that can quickly remove the contaminated black water from the exposed area of your school. In many situations, once the excess water has gotten removed, we can immediately begin the necessary tear out and demolition efforts. There is too great a risk to leave contaminated elements and structural components in place once exposed to raw sewage, and so we must remove these materials to get to support materials, studs, and beams. Once tear out completes, our SERVPRO technicians can work on cleaning and disinfecting the structural supports that remain. Our contracting division can begin work on replacing the removed materials immediately following this cleanup and disinfection, providing a fast recovery to a traumatic situation. As alarming as sewage backup can be for your public school, keeping people away from the danger and letting our professionals restore the damage is a wise choice. Many municipal agencies rely on us for fast, dependable service. Our SERVPRO of El Centro / Salton City rapid response team can make this situation “Like it never even happened.” Give us a call today at (760) 337-5858. No Water Removal Job is too Small for SERVPRO! We have state-of-the-art equipment that helps us detect the source of your water woes. It is a common mistake to think that a minor leak in your home does not cause much damage. A broken pipe that slowly leaks under your sink and allows water to run off under your flooring and into the walls of your home can cause a myriad of problems if not resolved correctly. Water removal efforts are best left to professional teams that can gauge the full effect of the damage and act accordingly. For your water removal needs in El Centro, our SERVPRO team is prepared to be your best resource as we extract all remaining water from your property. We are trained to operate with safety in mind which is why upon arrival we examine your home to ascertain the degree to which the water has damaged the structure. Once we confirm that there are no imminent dangers to your family or our team, we proceed to make a detailed plan to return moisture levels to normal. If the accumulation of water is significant, we employ high power submersible pumps to remove the bulk of the water. We complement those efforts with handheld instruments that help access hard to reach places. For wet flooring and carpeting, we extract the most water we can with the goal of salvaging the materials but are ready to remove them if needed. 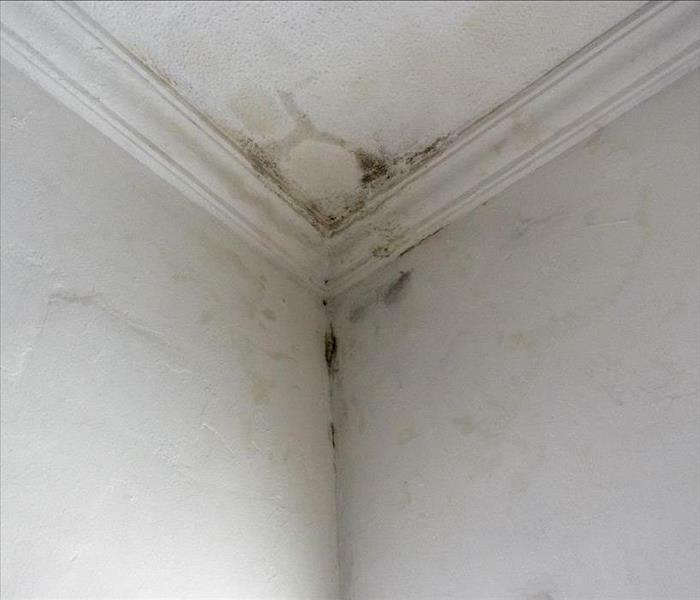 A significant concern following water removal services is monitoring for the presence of mold. It is not enough to extract water and dry each surface; it is also necessary to treat your home for microbial growth. Our SERVPRO team trains on the different approved methods and solutions commonly used to control the spread of mold spores and bacteria. During this process, we monitor humidity and pH levels in your home as well as allow the necessary time for the disinfectant to act and protect your home. 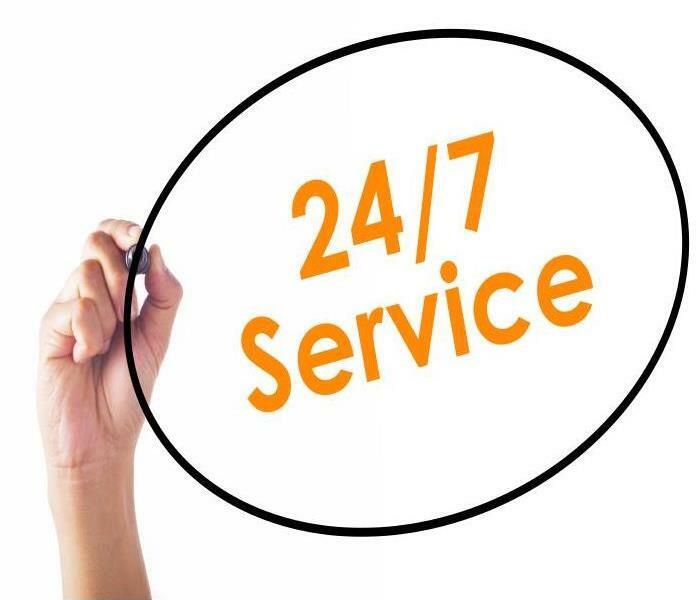 At SERVPRO of El Centro/Salton City, we are available 24/7 to respond to your emergency needs. 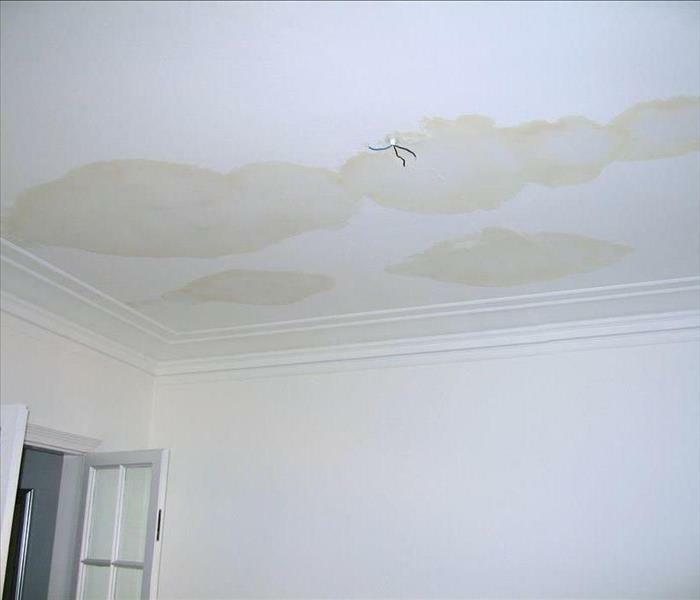 The presence of water damage in your home, whether big or small, requires the attention of a professional team and we are here to help you. Just call (760) 337-5858 and let us leave your home "Like it never even happened." Ningún Trabajo De Remoción De Agua Es Demasiado Pequeño Para SERVPRO! Tenemos el equipo para detectar daños por agua. Es un error común el pensar que una filtración menor en su hogar no causa mucho daño. Una tubería rota que deja escapar el agua lentamente bajo su lavamanos y permite que la filtración siga a sus pisos y paredes puede causar una serie de problemas si es que no se resuelve correctamente. Lo mejor que puede hacer para remover el agua es contactar a un equipo especializado que pueda evaluar el impacto completo de la filtración. Para remover el agua de su hogar en El Centro, nuestro equipo de SERVPRO está preparado para ser su mejor recurso al extraer el agua estancada. Estamos entrenados para operar de manera segura y es por esto que al llegar a su casa la revisamos cuidadosamente para determinar si existen daños estructurales. Una vez que confirmamos que no hay peligros inminentes para su familia o para nuestro equipo, procedemos a desarrollar un plan detallado para devolver los niveles de humedad a la normalidad. Si la acumulación de agua es significativa, utilizamos bombas industriales sumergibles para extraer el agua. Complementamos nuestros esfuerzos con instrumentos de mano que nos permiten entrar en zonas de difícil acceso. Para pisos y alfombras mojadas, extraemos la mayor cantidad de agua posible con el objetivo de salvarlas. Sin embargo, estamos también listos para actuar si es necesario deshacerse de alguno de estos elementos. Una fase importante al remover el agua de su hogar comprende el monitoreo para la detección de microbios y moho. No es suficiente con sacar el agua y secar las superficies, también es necesario tratar su hogar con soluciones que impidan la multiplicación de bacterias. Nuestro equipo de SERVPRO entrena especialmente en el uso de los distintos métodos y soluciones utilizadas comúnmente para evitar la propagación de moho y microorganismos. Durante este proceso medimos la humedad y la acidez en el ambiente de su hogar a la vez que permitimos el tiempo óptimo para que el desinfectante logre su mejor desempeño y proteja su hogar. En SERVPRO of El Centro/Salton City, estamos disponibles todos los días de la semana para responder a su llamado de emergencia. La presencia de daños causados por agua en su hogar, aunque parezcan pequeños, requiere la atención de un equipo professional y nosotros estamos aquí para ayudar. Sólo llámenos al (760) 337-5858 y lo ayudaremos a eliminar cualquier rastro del desastre. When facing mold problems in Brawley, Calexico and Imperial areas, call SERVPRO of El Centro / Salton City to help pick the best response. Mold damages materials in different ways when it infests property. The growth process releases chemical compounds such as MVOCs, Microbial Volatile Organic Compounds, which lead to the musty smell present in a moldy environment. Hyphae penetrate deep into affected materials leading to the breakdown of the structural integrity, similar to rotting. Mold colonies also leave patches on surfaces destroying most types of finishes in affected areas. It is vital to take measures to restore any damage present in your El Centro home. Restoration of mold damage in El Centro can take time and effort. Some of the methods used in the remediation process can also create additional damages, so it is crucial to choose a remediation process carefully. For light infestations, our SERVPRO technicians use light removal methods such as HEPA vacuuming and damp wiping to remove settled spores and other light mold debris. These methods are effective and do not cause secondary damage to the affected material. Mold debris can spread easily especially if people move a lot between the affected areas and other parts of the home. Air movements especially if drying the excess moisture in the affected area can lead to the spread of mold debris. To avoid such problems, our SERVPRO technicians establish containment in the affected areas. We do this by installing plastic sheets, which create a physical barrier. We also use negative air machines or establish 'clean rooms' to act as a buffer between the affected region and the rest of the house thus preventing the spread of debris. Many times when mold affects porous materials, it grows deep into the material making it hard for most cleaning methods to work. The most efficient way to deal with such cases is to remove the porous material. Our SERVPRO technicians tear down drywall, ceiling, insulation, carpets, and other porous materials heavily infested by mold. For lighter infestations, we can use specialized techniques such as dry ice blasting or soda blasting instead of abrasive methods that damage the underlying material. When facing mold problems in Brawley, Calexico and Imperial areas, call SERVPRO of El Centro / Salton City to help pick the best response. You can reach us at (760) 337-5858 any time. 4/5/2019 - If Your El Centro Home Experiences A Flash Flood, Our Crew Is Here To Help! 3/11/2019 - Dealing With Fire Damage & Smoke Odor? We Have A Solution - Call SERVPRO! 3/11/2019 - ¿Su casa tiene daño de fuego y olor a humo? Tenemos una solución - ¡Llame a SERVPRO! 2/25/2019 - No Water Removal Job is too Small for SERVPRO! 2/25/2019 - Ningún Trabajo De Remoción De Agua Es Demasiado Pequeño Para SERVPRO!